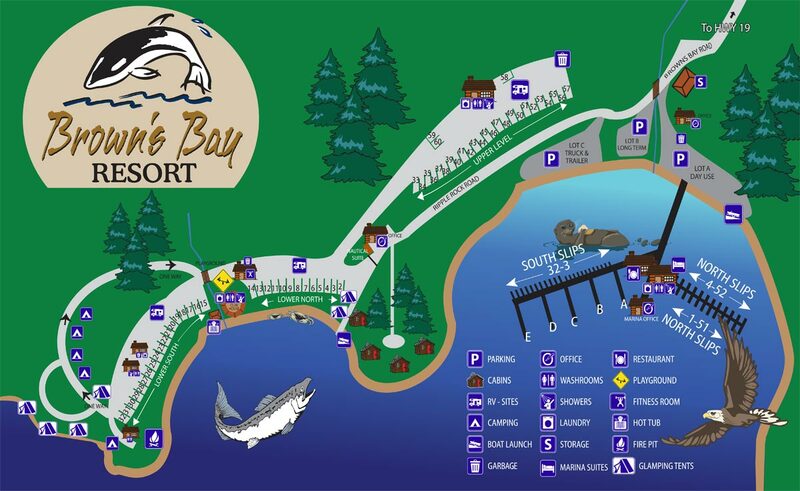 Brown's Bay Resort is located 19 kilometers (12 miles) north of Campbell River on Vancouver Island. Travelling north on Highway 19 from Nanaimo, it takes approximately 1.5hours (153 kilometers/95 miles). From Victoria, it takes approximately 3 hours (264 kilometers/165 miles). If you prefer a more scenic route, you can take Highway 19A (the old highway) along the coast; pick it up from Parksville. From the BC mainland there are other direct travel alternatives to Vancouver Island.